« Will Cruise Missile Defence System be India’s Next Priority? Six months ago, Modi Government appointed a three-star officer to look into different aspects of the multi-billion dollar fifth generation fighter aircraft (FGFA) programme to co-develop a stealth fighter with Russia, since then nothing much has been confirmed or denied about it by government officials in the media nor discussed in recently concluded Modi’s visit to Russia . FGFA programme was first contacted in 2010 and preliminary design stage was completed in 2013 after spending Rs 1,500 crore but even after seven years project has not made any headway’s while Current Government is preparing to hand out a 100 fighter jet deal to American Companies to dump their 40-year-old F-16s in India. Former IAF chief Air Chief Marshal Arup Raha speaking to the media some time back had said that all will come down to affordability and according to experts FGFA project due to $4-billion research and development (R&D) cost and guaranteed orders for 120 + jets with the same level of Transfer of Technology will make this jets more expensive than Dassault Rafale breaching 120$ Million Dollar per Unit barrier. Present administration seems to have developed Cold feet in finding the money required for the investment in the development of FGFA project and chances are that this might be Second Indo-Russian Military project which might be shelved by this Government after MTA Transporter Co-development Project was dropped earlier this year. 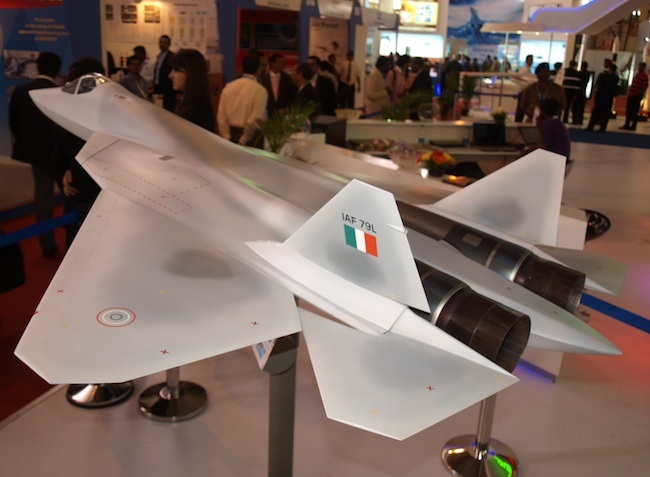 The situation of India’s Indeingeiuos Proposed 5th Generation fighter jet proposal too looks shaky, since Government is yet to clear and provide full-scale sanction of the funding required for the project to commence at full scale, While Government has cleared initial funds it is also clear that amount sanctioned for the Design Bureau Team is too little to even start development of core technologies required for 5th generation fighter jet program. While India is yet to even select a partner to develop a suitable power plant for the AMCA fighter jet, there are clear indications that the project is unlikely to take off very soon, rendering Aeronautical Development Agency which is the nodal agency for the design & development of AMCA pretty much jobless. Development of upgraded Tejas MK-1A will be a totally internal job which will be carried out by HAL and Tejas MK-2 Project is still unclear even though the first aircraft will have its flight by 2021-22. Both FGFA and AMCA seems to have been stuck under Red Tape of Bureaucracy of the present government which still has part-time Defence Minister which is holding up the clearance to many key crucial projects like development of Next Generation aircraft carriers and fighter aircraft, which is still waiting for final clearance from the PMO and Defence ministry. Pakistan on the other hand already has declared it will be acquiring 5th generation fighter jets soon and there is a high possibility that Chinese J-31 might be co-developed with Pakistan or Pakistan might accept Turkey’s co-development offer on their TAI TFX 5th generation fighter jet proposal and might be first to introduce 5th generation fighter jet in the region. Many experts fear that F-16 deal will soon lead to F-35 deal with Lockheed Martin and AMCA project might face the brunt of this decision like LCA-Tejas Project faced due to strong Import lobby in India. lack of support coming for AMCA Project in Private Defence Sector also suggest Private Sector are more interested in the quick buck with no R&D investment to make their foray in defence sector in India. With Prices of F-35A all set to fall under 80 Million dollar per Unit post-2020 and with available Amercian ecosystem in India, thanks to F-16s production it might be matter of time before India falls for Marketing gimmick of American companies in disguise of promoting “Assemble in India ” rather than ” Make Indian product in India ” .